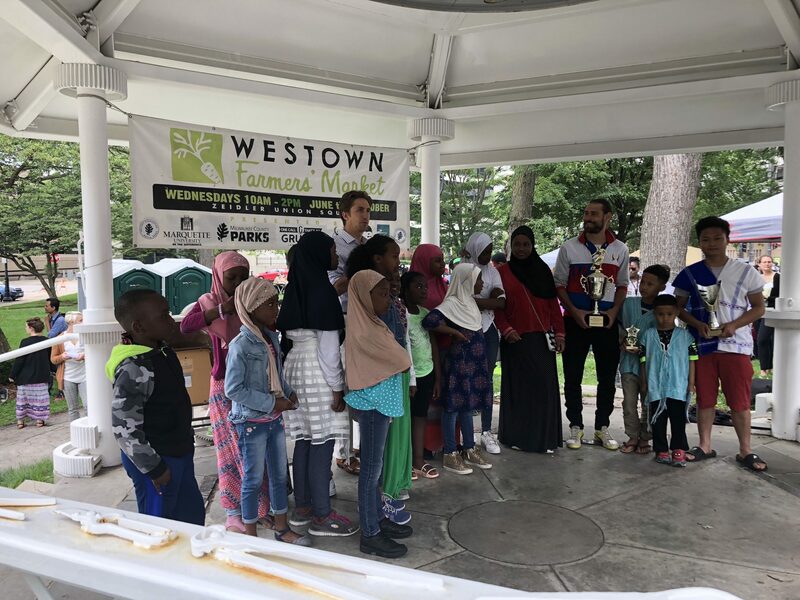 For almost a century, the International Institute of Wisconsin has had the mission of helping immigrants establish themselves in the Milwaukee community. The International Institute of Milwaukee County was founded in 1923 in Milwaukee by Edna H. Merrell under the auspices of the YOUNG WOMEN’S CHRISTIAN ASSOCIATION (YWCA). It was also later affiliated with American Council for Nationalities Services, a national organization headquartered in New York City. The International Institute’s original goal was to help “Americanize” new immigrants to the city. The organization was especially concerned about women who arrived without families. The International Institute initially worked out of a tiny cottage at 183 North 7th Street, a site chosen to avoid intimidating prospective clients. The main tactic of integration was to recruit participants into social activities. In the late 1920s, the International Institute started including immigrant men in its activities. In response to requests from immigrants, it also expanded its services to assist with citizenship documents. In 1931, the International Institute moved into much larger offices in the YWCA building at 626 North Jackson Street. The added space allowed the International Institute to offer many more programs, including an opera group that attracted over one hundred participants. Budget constraints in 1935 compelled the YWCA to sever ties with the International Institute. Several members of the defunct organization’s activities council, including Philip Person, Lorna Warfield, and George B. Skogmo, revived the International Institute by incorporating it as a separate organization in 1936. The newly independent International Institute retained its old mission while expanding its programs. For example, during World War II, the International Institute began organizing an annual Holiday Folk Fair. The first fair, modeled after one in Chicago, was held on December 10, 1944. 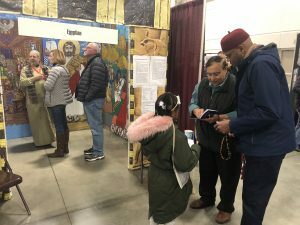 The Holiday Folk Fair had the dual mission of bringing together different ethnic groups and publicizing the International Institute’s programs. 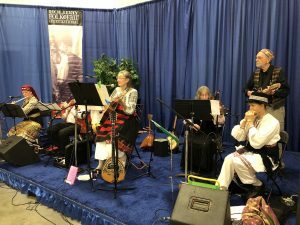 The HOLIDAY FOLK FAIR INTERNATIONAL remains an annual tradition in the 21st century. It routinely attracts members of more than 50 ethnic groups who showcase their cultures over three days. In 1986, the organization changed its name to the International Institute of Wisconsin to suggest that their services were available to immigrants throughout the state. Now located at 1110 North Old World Third Street, the organization provides immigrants with a wide variety of services, including naturalization help, interpretation and translation services, and educational and arts programs. ^ “The International Institute and How It Grew,” 1970, Box 3, International Institute Manuscript Collection, 1918-2004, Milwaukee County Historical Society. ^ Edith H. Quade, “Milwaukee’s Holiday Folk Fair,” LORE 4 (1954): 102. ^ “Why an International Institute,” International Institute News Bulletin 7 no.2 (Fall, 1950): 3. ^ “Events,” International Institute of Wisconsin, accessed July 14,2014, http://www.iiwisconsin.org/events.html. ^ Joe Botsford, “Milwaukee Highlight of Foreigners Visit,” Milwaukee Sentinel, September 23, 1967, accessed August 13, 2014, http://news.google.com/newspapers?nid=1368&dat=19670923&id=d9cpAAAAIBAJ&sjid=AREEAAAAIBAJ&pg=2217,4605007; “How We Say ‘Gemmutlichkeit,’” Milwaukee Sentinel. Sunday, May 15, 1955, p. 1-D, accessed July 7, 2015, https://news.google.com/newspapers?id=NG1QAAAAIBAJ&sjid=chAEAAAAIBAJ&pg=7128%2C179332. ^ “About Us,” International Institute of Wisconsin, accessed July 15, 2014. The International Institute 1918-2004 Manuscript Collection. Mss-0586. Harry H. Anderson Research Library. Milwaukee County Historical Society, Milwaukee, WI. Edith H. Quade, “Milwaukee’s Holiday Folk Fair,” LORE 4 (1954): 102-107.